The Serenbe Farmers Market is an eclectic market comprised of small local and sustainable growers, artisans, and craftsmen. A broad spectrum of vendors and customers meet each Saturday to share in their passion for sustainable food and local art. 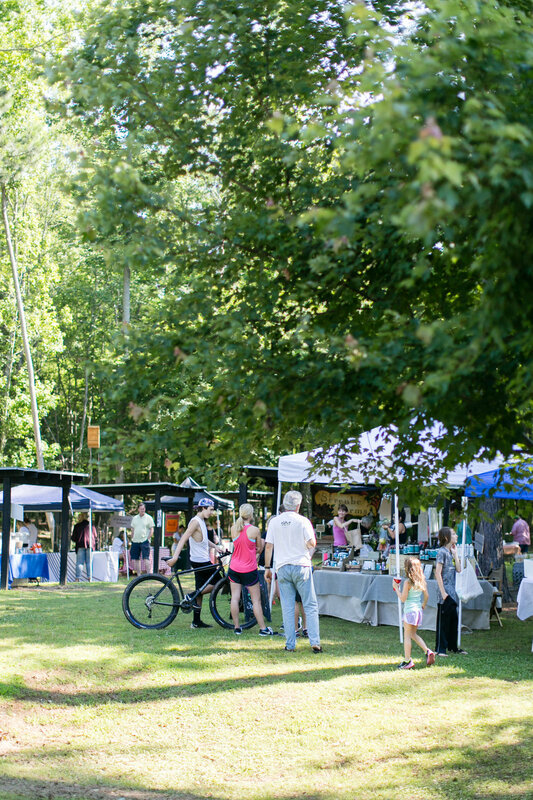 Our established market is held in a unique outdoor environment in the Selborne village green of the Serenbe community, surrounded by retail shops, restaurants, and art galleries. Each Saturday, we highlight exciting events and programming geared to educate and entertain our ever-growing customer base. We have monthly chef demos, canning and preserving demos seasonally, and activities for children. In addition, we have farm tours available to the public every Saturday after market at 1:30pm, for $10, click here for more info. Saturdays, 9 am - 1 pm. Sign up with your email address to receive news and updates about weekly market events. Thank you and we look forward to seeing you at the farmer’s market!